…aaannnd I am back here in the sandpit after a 3-week vacation in the Philippines! It was short, but I've enjoyed every single minute of it. We've gone to a number of places and I can't wait to share with you photos (plus reviews) soon! 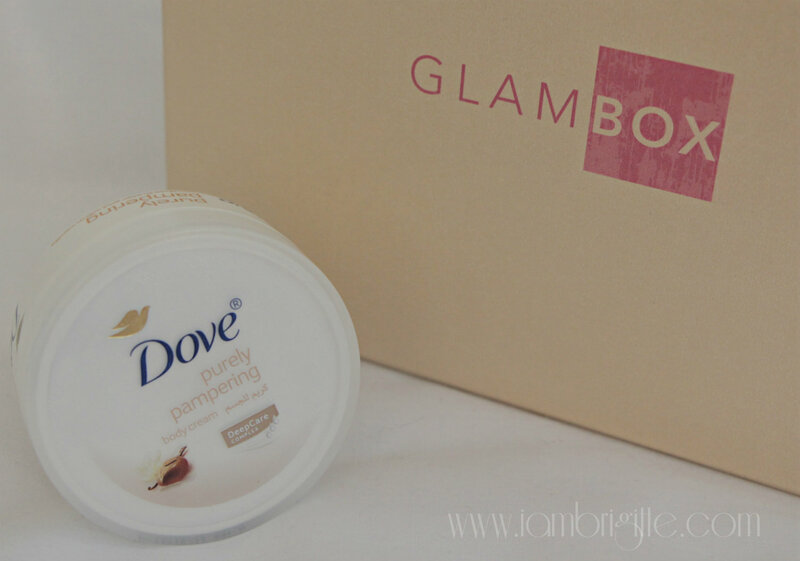 For today, let me share with you first this month's box from Glambox. This box arrived way earlier than the usual and while I was still in PH, so sorry for sharing this with you just now. This box is a complete package: it has skincare, makeup and a beauty tool. A new sunscreen lotion, with hydrating ribbons for constant moisturization while protecting your skin from the harmful rays of the sun. This has a pleasant, light coconut scent that applies easily on the skin and dries quickly without that greasy after-feel. I like that it does really keep the skin moisturized unlike some other sunblocks that I've tried. I love body creams. I've used a lot of brands in the past and this one is my first from Dove. I've tried it and I like its nourishing and luxurious feel. Despite the thick formulation, it applies easily on the skin and doesn't leave it looking and feeling greasy. It feels light on the skin and haven't had any allergic reactions to it. 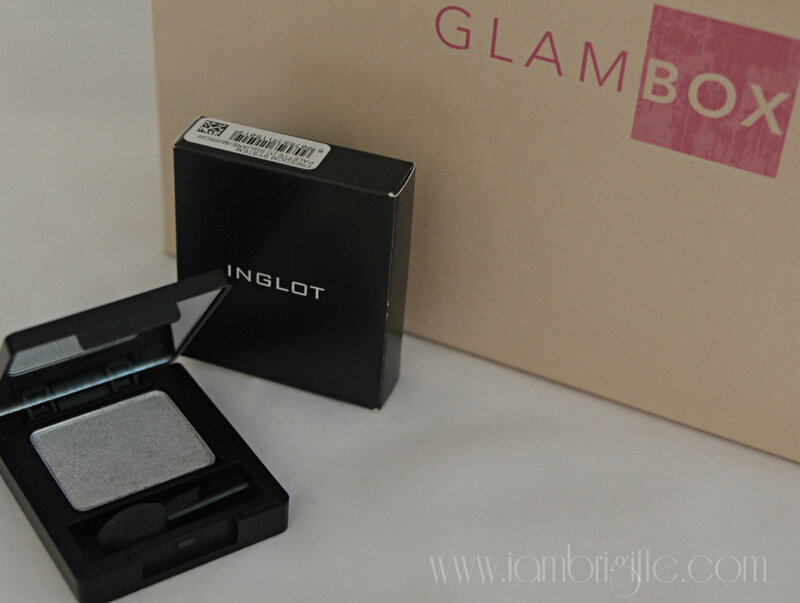 I got myself Inglot eyeshadows in the past and I love them. They apply like butter and blends easily. If you have oily lids like mine, it's better to use an eyeshadow primer first to make sure it will last all day. I love that I got this beautiful shade in silver as I've already hit the pan on my MAC e/s in Elekra. A correcting, perfecting and moisturizing tinted fluid that gives makes skin radiant in an instant. With continuous usage, it helps get rid of dark spots and makes skin looking more refined. It's oil-free and gives skin a matte finish. My hands get dry easily so I always make sure to tote around a hand cream. So just imagine my excitement when I saw this in this month's box! I've been using it ever since and it does keep my hands velvety soft. I also like that it makes my hands look fresh and rejuvenated in just one use. It has this citrus-y smell making it more addicting to use. I am particularly happy to see these Caudalie products in this month's box. It's a luxurious brand from Paris that I honestly won't dare to buy have I not tested it first. 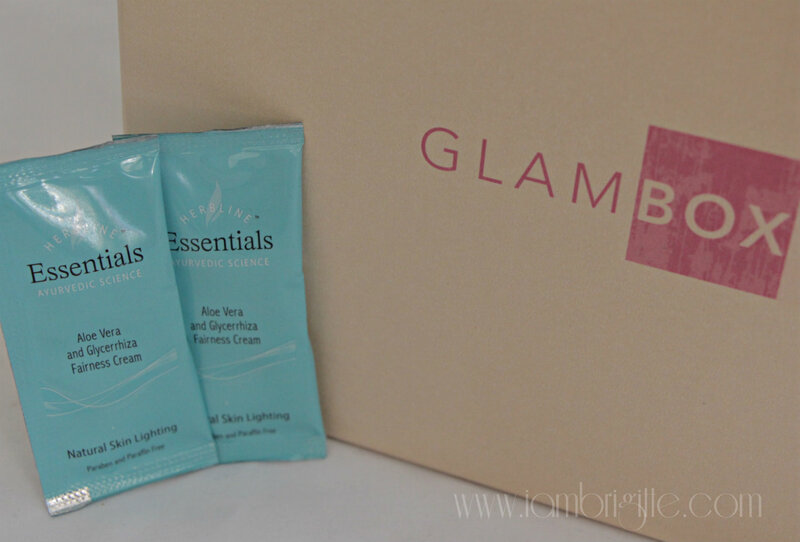 So thanks Glambox for giving your subscribers a chance to try this brand. This day fluid and hand cream is definitely on my to-buy list! Made from 100% natural ingredients, this cream is suitable for all skin types and can be used daily. It doesn't only protect your skin from the sun but also from the wind and desert heat. 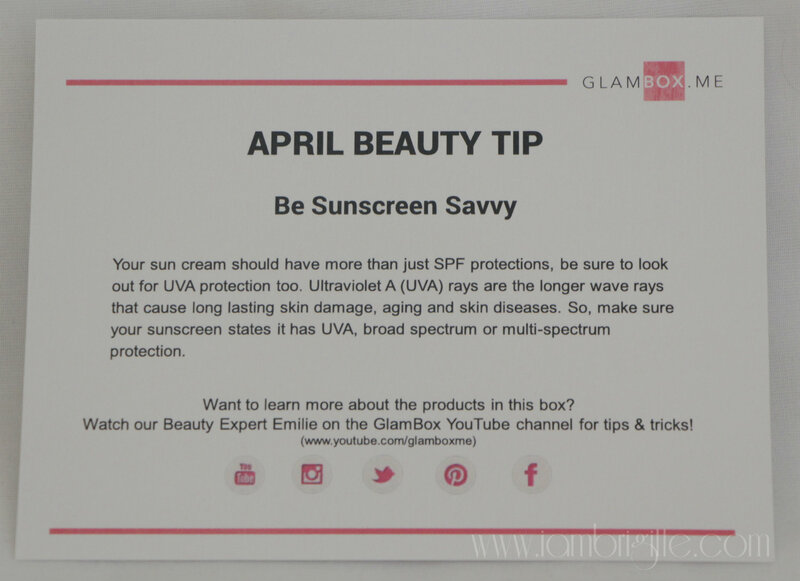 Aside from its sun protection, it also helps to reduce skin pigmentation. I haven't tried these samples as I am still on the Obagi Nuderm regimen. I think I'll use this on my neck instead as my neck also requires some good TLC just like the rest of my body. Another thing that got me excited is this brush. I love collecting makeup brushes! I particularly love stippling brushes for the airbrush finish it provides aside from it is multipurpose because you can use it with liquid, cream or powder makeup. I already gave this baby a bath before using it and it didn't shed. It's soft on the skin too! 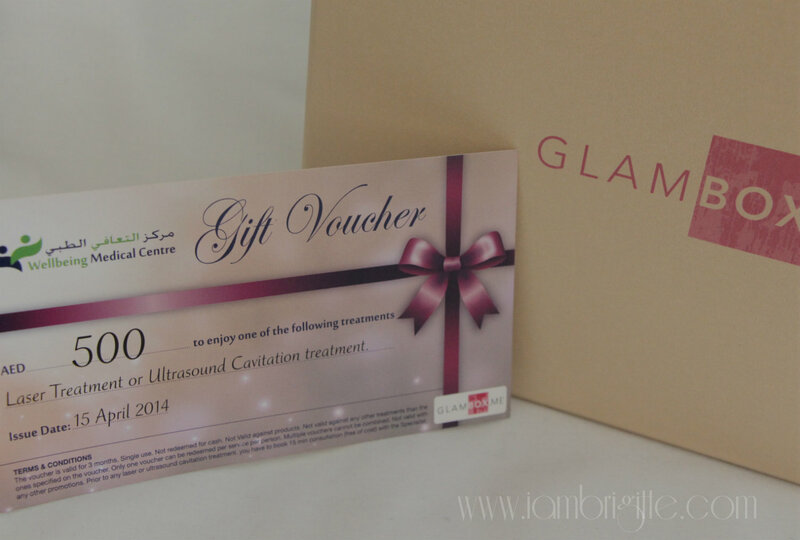 The 500 AED-voucher for an Ultrasound Cavitation Treatment is a heaven-sent. I've gained too much weight while I was on vacation and I could definitely use some help to lose some fats! Tee-hee! Also, until the 30th of this month you can avail a free 12-month subscription (you only pay for the shipping and handling of 15 AED) by using the code GBFREE. Yes, that's 12 Glambox boxes for free! If you love the element of surprise and of course, trying out products before committing to buying them in full-size, grab yourself a subscription now. 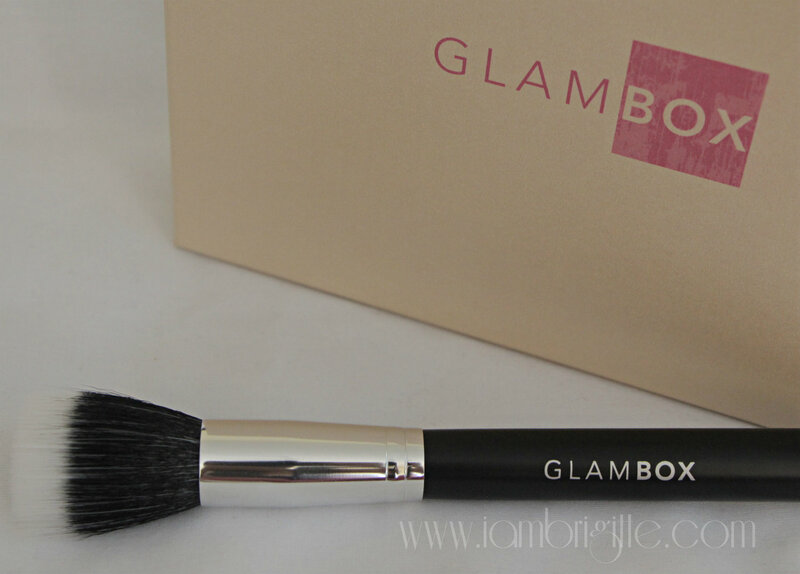 Check out the Glambox website to know more.